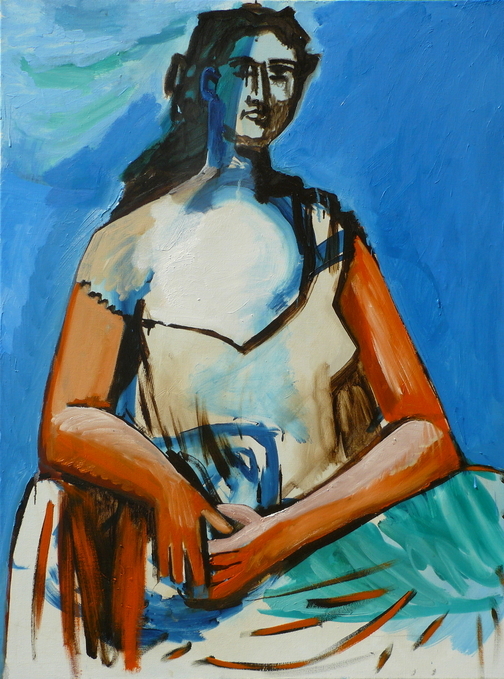 Seated woman. New Paltz, New York. 7-10 August 2015. Oil on canvas, 48 x 36 inches.